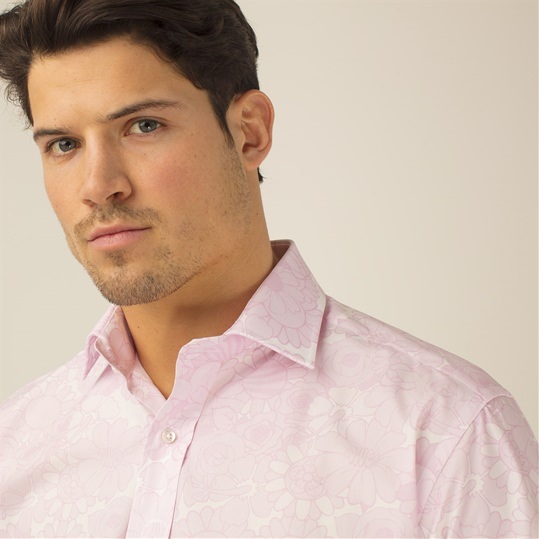 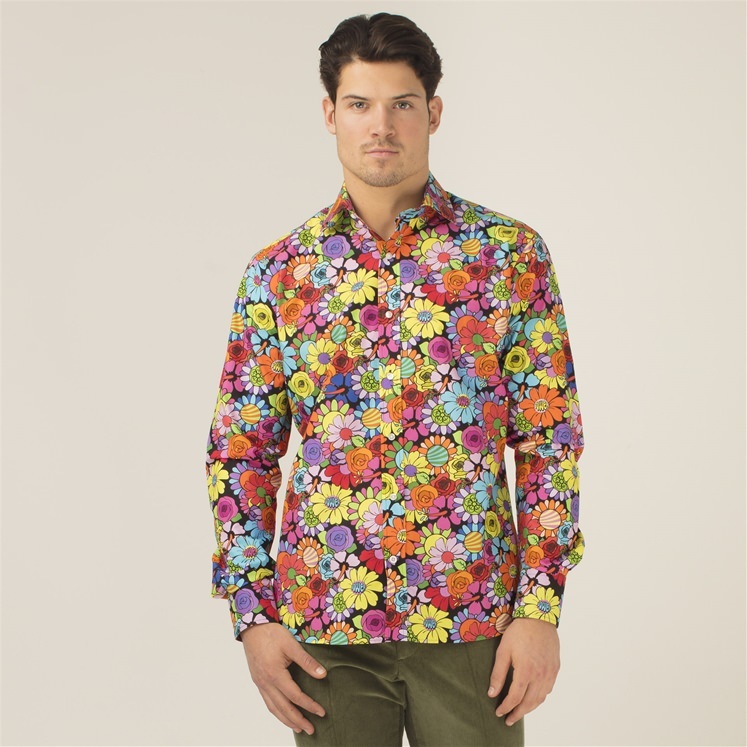 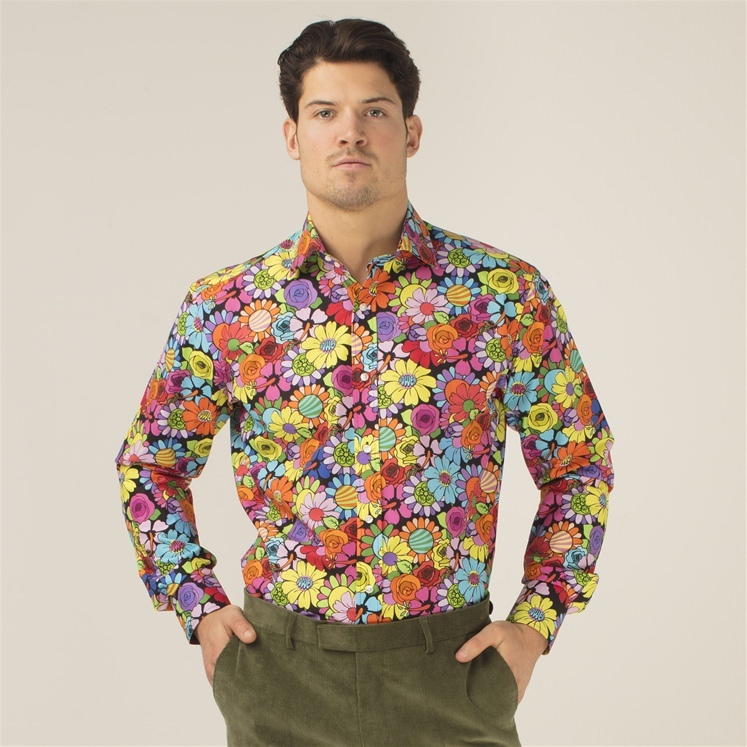 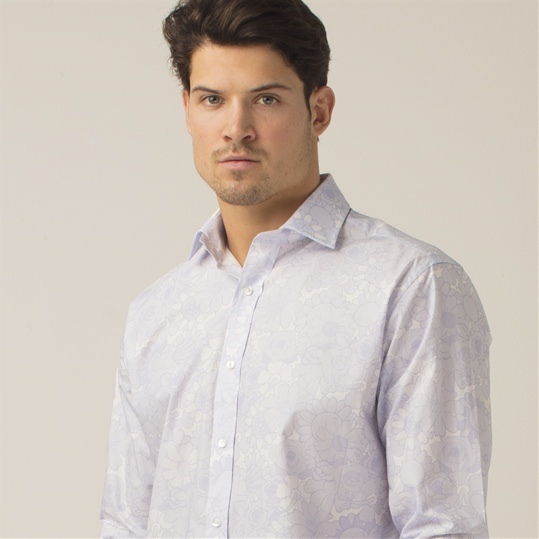 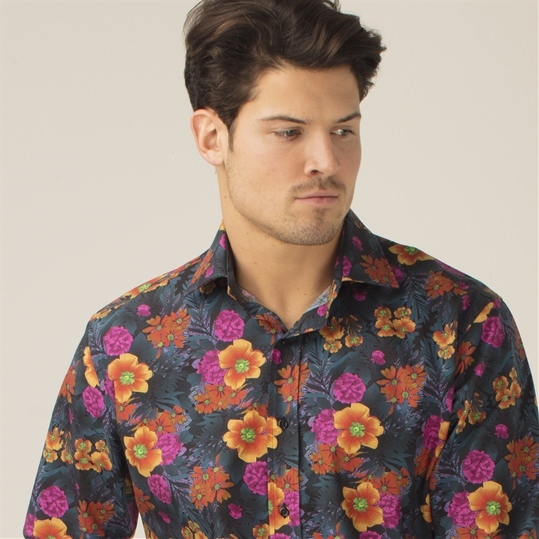 Mens bright patterned floral shirt, part of our celebratory 20 year collections at Gresham Blake. 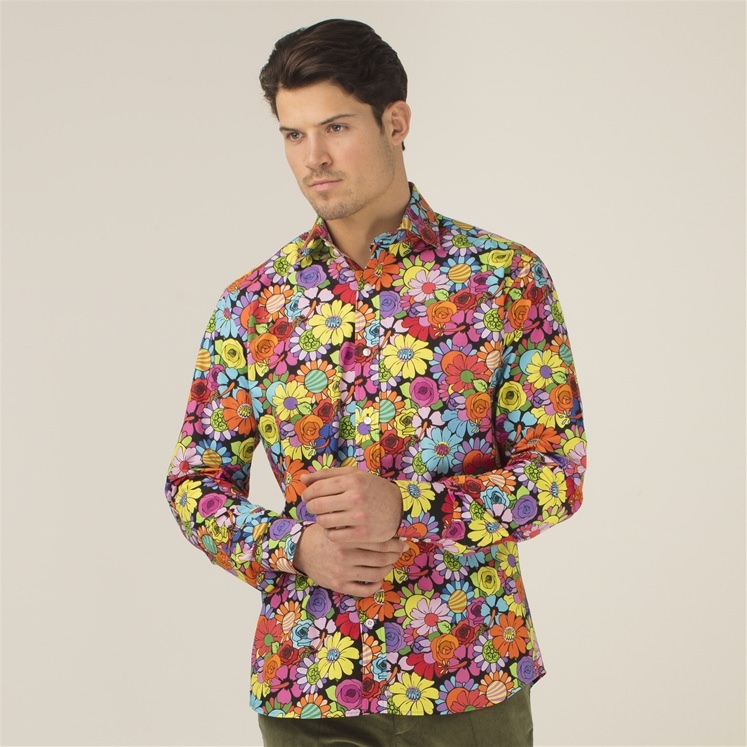 This floral shirt has a vibrant & graphic 70's inspired design. 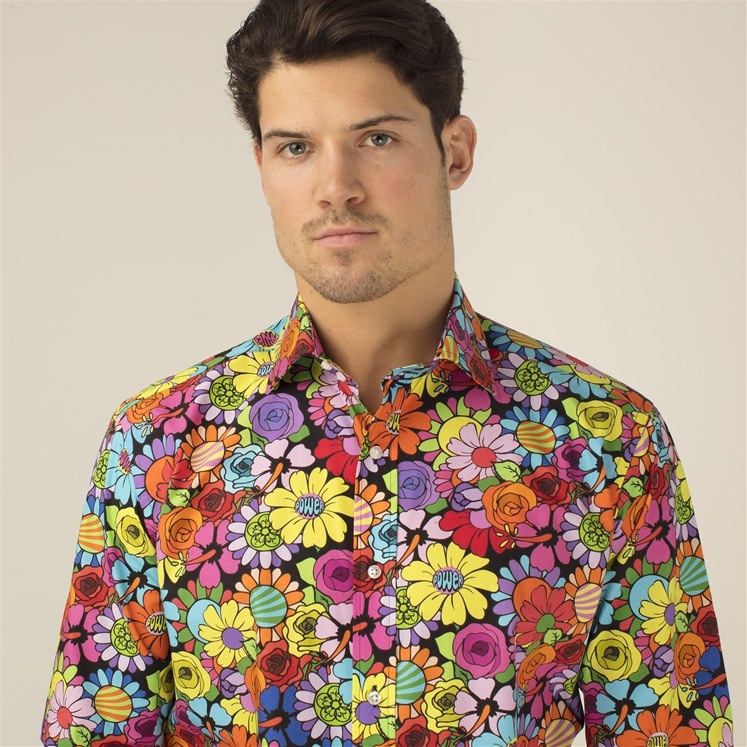 Sitting on a black background, the flowers sporadically feature both the Gresham Blake logo and the words 'power'.